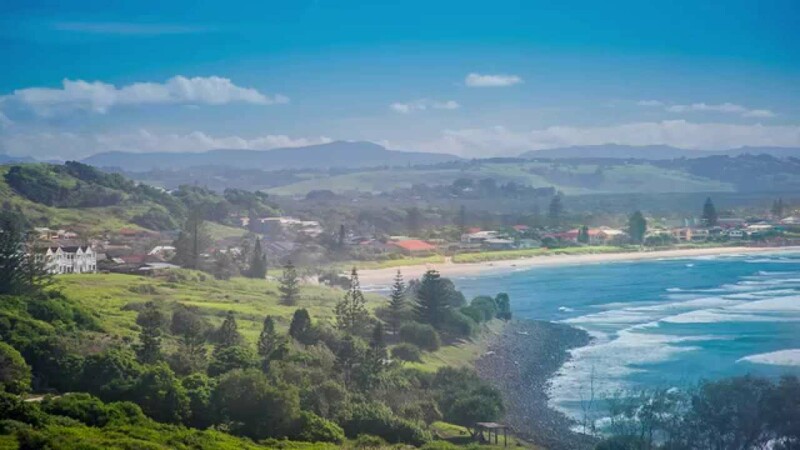 As well as being a stomping ground for international surfers chasing the perfect right-hand point break, the vibrant seaside township of Lennox Head is a popular drawcard for families, singles and couples seeking a sea change. Located just 15 minutes drive from the commercial heart of Ballina, within the Ballina Shire Council area, Lennox Head is now home to more than 7,500 people and growing steadily. Pat Morton lookout offers spectacular views across the village to Seven Mile Beach, extending north to Broken Head. The headland, also known as Lennox Point and overlooking Australia’s first national surfing reserve, is a perfect vantage point for whale watching in the winter months, and dolphin spotting or hang gliding year round. Fishing and kite surfing are two other famous local past times. The town’s tannin-stained, freshwater Lake Ainsworth is a popular recreational spot for families, offering plenty of tranquil spots to picnic, swim, kayak, canoe and stand-up paddle. The Lake Ainsworth Sport and Recreation Centre offers state of the art facilities, attracting professional athletes from around the country. The main street of Lennox Head, directly parallel to the beach, is lined with award-winning restaurants, cafes, boutique shops and galleries. Despite its size, Lennox Head offers plenty of child care and education options, including an early learning centre, community preschool, public school and Catholic primary and secondary schools within a few minutes drive of the town centre. There are also many ways for kids and adults to connect with community; by signing up to local sporting teams, taking dance, yoga or martial art classes, joining art and cultural groups or helping out on the community garden project. The monthly Lennox Community Market is another perfect spot to catch up with friends and meet other locals while enjoying great local produce, fabulous music and handmade crafts. Lennox Head locals are proud of their village and take pride in its reputation as a friendly destination where residents and visitors enjoy a healthy lifestyle and feel supported and safe.